Hop aboard only if you have no option. What happens when the feisty girl stays feisty? Love meets feminism for a new kind of rom-com. Varun and Alia's crackling chemistry works wonders for this desi love story! Those who love rom-coms will definitely like it. Ambernath Bansal has a business of money-lending, and Badrinath helps his father in that business. On the surface, "Badrinath ki Dulhaniya" is funny and smart, but when you get to the heart of it, the film doesn't quite hold up. ‘Badrinath Ki Dulhania’ is a complete entertainer. Helmed by Shashank Khaitan, this Varun-Alia romantic comedy will tug at your heartstrings. 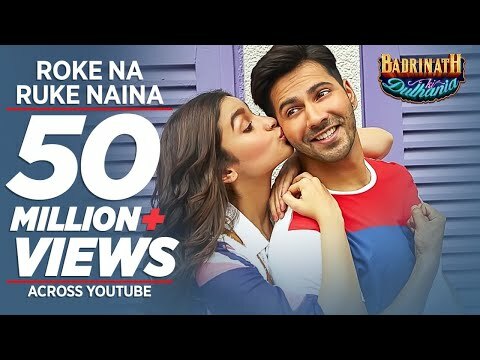 Badrinath Ki Dulhania begins as a cute sweet love story between a Jhansi boy and a Kota girl, but the director understands the current tide of films that celebrate powerful, liberated women..
Succinctly put, it is a Varun Dhawan film and adds to his repertoire of memorable roles.